Develco has employed Michael Knudsen as a new software engineer to work broadly with development of embedded software solutions. 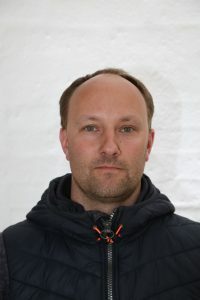 Michael has a master education in computer science specializing in communication protocols for network from AAU Aalborg University and comes from a position as staff engineer within software at Samsung Denmark Research Center in Aalborg. During 10 years Michael has worked with development of Bluetooth drivers, firmware for Samsung’s Bluetooth controllers and version management of software in addition to internal training of new employees. Michael is very interested in systems and software for machines and uses his passion in the spare time experimenting with software, electronics, laser cutting, CNC milling and building his own drone with camera holder. In contrast to the development of software and the drone flight Michael likes to go on a fishing trip or an overnight trip in the nature. “In the job at Develco I look forward to developing software solutions for hardware. Earlier I have worked a lot with development of chips and I look forward to a greater variety of tasks and products at Develco, where I can follow the entire development process of new software solutions”, says Michael, who has moved privately to Kolind near Develco in Aarhus simultaneously with the new job.